Cobbles and natural stone pavers are strong and durable, usually made from granite, bluestone, travertine, and sandstone. They come in a variety of shapes, colors, textures, and sizes. 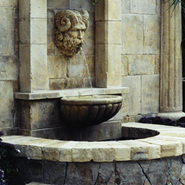 Cobbles and natural stone pavers are commonly used for patios, decks, driveways, verandahs, and courtyards. With the vast variety that cobbles and natural stone pavers have to offer, achieving a specific theme is effortless.